I’m sure you’ve been visiting Target and Wal-Mart for their back to school sales. Have you visited the mall to buy some new clothes and shoes ? The first day of school is just as exciting for teachers as it is for students. Who gets a good night of sleep before the first day of school? Not me, that’s for sure. One thing you may want to consider is saving your new outfit for the second day of school. As a person who has been the new kid on the block, as a parent and as a faculty member, I can’t stress enough how helpful it was when school employees wear their school shirts on the first day of school. Parents can easily identify an adult if they need to ask for directions. If a child gets lost during the day, he or she can find an adult with a school shirt to get ask for help. New faculty and staff members can also see who the “go to” people are for help. Yes, many school employees wear name tags, which are nice, but they are small so they are harder to see. Many employees forget to wear them, too. Trust me, matching shirts are the way to go! Let’s help out the new teachers! What is your favorite brand of shoes to wear when you’re teaching? I have several that I like . . . Dansko, Merrell, and Clarks, are some comfy ones to check out. Leave a comment below and help the newbies out. What is your favorite brand of shoes? My all-time favorite shoe is by Champion. They are called "Jema Skimmers" and are so lightweight and comfy! I buy two pair – black and brown and then I always have a comfy pair of shoes to wear to match any outfit! With 4 kids to get ready, puzzling over which shoes to wear just does not cut it for me! I also get the super cute lace no-show socks which actually do show just a little bit in the skimmers – just enough to dress up the look enough to wear with dress pants, but still casual enough to look good with jeans too. I get both the shoes and socks at Payless when the BOGO sale is going on! Thanks for the tip Jennifer. Now, I'm going to have to visit Payless. I'm always looking for comfortable shoes. A person can never have enough shoes, right? I love my chacos. I've had them since I started student teaching. Living in the south, I can wear them most of the year. I also love my Merrills. I just got a pair of TOMs. I'm hoping they are comfy enough to wear to school. Try eBay! They never wear out and you can get great deals! I love my TOMS. Pay the extra though and get the "upgraded" ones. Instead of a foam soul it's runner with more support! Danskos definitely! My husband cringed when he saw the price but I wear them every. single. day. They are awesome! I love my Danskos, but I wore them out last year! I couldn't bear to buy more than one pair since they are so expensive. I bought a "knock-off" of Danskos at Target (I think) and they worked well the last few months of the year. I am on the Payless website right now checking out those Jema skimmers! I really need to some new clothes this year. Sadly, I gained some weight during the last school year, so I don't feel great in the clothes I have. I have a very narrow foot, so I can't wear the normal brands that most of my teacher friends wear. I wear shoes by Sofft…so comfy! My fave winter-ish shoes are Born clogs. They're pricey, but I remember the saying, "You get what you pay for." I've had mine for 5 years now and those babies are made well! I like my Kelso Earth clogs or my Rykas. Absolutely need comfortable shoes! I like your school shirt idea. I'm the new teacher on the block this year, so I don't have a school shirt. But it's still a good idea. I love Danskos, but I also found a similar brand called Sanita. They are just as good and are not quite as expensive. 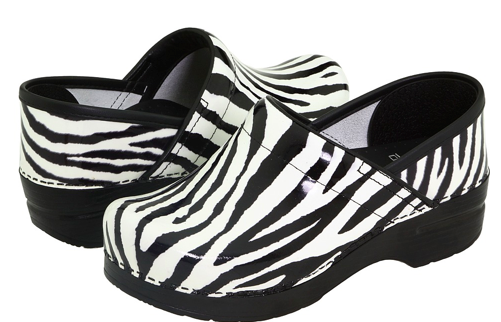 Their styles are similar to the ones Dansko has as well. Um, COMFY Shoes are a MUST! I prefer my Clarks! I never sit down!!!! And, NO, not much sleep!!! 🙂 Loved reading this post! Pinned as well! I love all the brands mentioned and just wanted to throw another name out there. Naot. It is expensive but it was already mentioned that you get what you pay for. These shoes last for years. I also bought a pair of Ariat boots last year! They are really comfortable too! Now, I need to work on the blue jeans and school tee idea with administration. Thanks for the idea! Ann Marie, are you not allowed to wear jeans to school? We are so lucky. We don't really have a dress code so most teachers wear jeans fairly regularly. I mean, we don't wear tee shirts with them, but we can wear jeans or shorts and some teachers even wear flip flops! When I taught kindergarten I wore strictly jeans or yoga type pants with tunics or a sweater or jacket. But now that I am a specialist, I try to wear skirts and tights more often. I love Merrills and also Berkinstocks. I also am a Champion fan. I cannot wear anything tight on my heels so I tend to go with a clog or a slide. I'm truly amazed to read that some teachers wear jeans and flip-flops to work! Even down in South Texas where I work, and we deal with 100+ temperature and humidity, we dress professionally. We only get jeans on Fridays and sometimes on early release days. Flip-flops, NEVER! After 10 years of teaching I have yet to find a truly comfortable pair of shoes and it's probably because I haven't forked out the money. This summer, however, I discovered Sketchers Go Walk slip on shoes. They have memory foam inside so it's like you're walking on clouds! They come in different styles and colors. 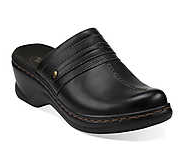 Because they are slip on they can be work with khakis or slacks. If nothing else, I will keep a pair in the classroom to slip into once I take off my dress shoes. You can find them on Amazon for $40-60. I got mine at Kohls for about $55. I urge everyone to try them because you won't want to take them off! 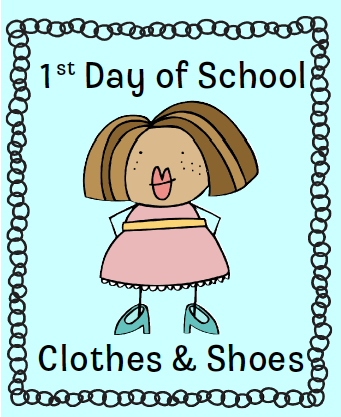 I wish everyone a wonderful first day of school & school year! I got a few ideas for some commenters… As for haveing a bunch of school t- shirts, use the smallest one, make a square or rectangle template on cardboard or something similar, lay each shirt flat, lay the template flat, draw the template then cut out the back and front. They should all be the same size. Stitch the squares together in any pattern to make a light school spirit blanket. Do you like to sew? Quilt two pieces together then stitch each block together to make a comfy class blanket. Turn it into a class project to get a home economics lesson in. Or take two blocks, stitch together to make class pillow. It's still used, but in a different way and you don't have several shirts pilling up your closet. As for the Sketchers Go Walk, I just got a pair for $21 at Rack Room. They had a BOGO Free sale, plus an extra 20% off.